The term was coined in 1952 by William Whyte, an American business writer who feared that corporate "groupthink" would suppress original thought and entrepreneurialism. Nietzsche once said that Madness is the exception in individuals but the rule in groups. In his book "Groupthink: Psychological studies of policy decisions & fiascoes" author Irving Janis cites an example of a disaster that struck a small mining town of Pitcher, Oklahoma in 1950. During Christmas , Dec 2015, Finland came up with a Calendar with their own set of country themed Emojis. 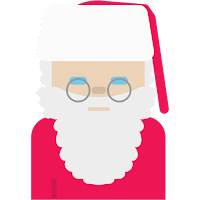 The Finland emojis illustrate Finnish emotions and strengths, as well as vices, and are part of the Christmas calendar published by the Ministry for Foreign Affairs on ThisisFINLAND, the country brand website. The complete list of emojis are available here. THE ORIGINAL SANTA. The feeling of the never-ending wait for Santa Claus. The real Santa comes from Finland. He has always lived in Korvatunturi, Lapland. Not the North Pole! HEADBANGER. The feeling of banging your head. Finns respect the privacy and personal space of others, and expect the same in return. We tend not to sit down next to anyone if another seat is available. When talking to a Finn, don’t stand too close – unless you want to see a Finn slowly edging backwards. In Multiple research it has been found that people prefer curvy objects over sharp corners. The rationale is that objects with sharper corners may convey a sense of threat at non conscious level. 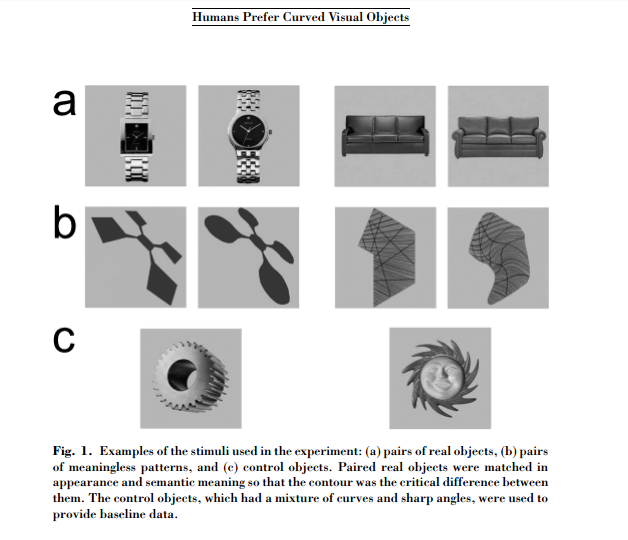 In this research people were exposed to 140 pairs of similar objects and the major difference between them was curvature of their contour. The participants liked the curved objects more than the sharply cornered ones. Psychologists have found that we are more concerned with how long a queue is than how fast a line is moving. Given a choice, we would opt for a shorter line than a faster moving line even if the wait times are identical. That is why Disney hides the length of its lines by wrapping them around buildings and using long winding queues. Some time ago, Houston airport executives received a lot of complaints about long waiting time at baggage claims. They reacted by increasing the number of handlers which reduced the time but still the complaints persisted. When they analysed it further they realized that it took 1 minute for passengers to travel from the plane to Baggage claim and 7 minutes to get their bags. So the airport smartly reversed this by moving the arrival gates away from the baggage claim counter. This resulted in passengers walking for 7 minutes to the Baggage claim and 1 min to collect their bags. At a large Multistoreyed office building, people complained about long waiting times for the Elevator during peak hours. Increasing the number of elevators was not feasible so an alternative solution was needed. The management called a meeting of the staff to brainstorm. A young employee who was a graduate in psychology observed that people complained about waiting only a few minutes for the elevator. The main issue was boredom rather than elevator performance. He suggested installing Mirrors in the elevator boarding areas so that people could be busy looking at themselves or looking at others. This was promptly done at a very low cost. Netflix's HR practice is so revolutionary that Sheryl Sandberg called it one of the most important documents ever to come out of Silicon Valley. Face to Face 360 degree feedback. The company's Expense policy is 5 words - "Act in Netflix's best interest"
eg: Travel as you would as if it were your own money. Employees booked their trips online on their own. Vacation Policy - No policy, take a vacation whenever you wish to. If you work in accounting or finance, you shouldn’t plan to be out during the beginning or the end of a quarter, because those are busy times. If you want 30 days off in a row, you need to meet with HR. Senior leaders are urged to take vacations and to let people know about them. Kim Scott, ex Googler and now a coach speaks about Guidance and in her view it is the single most important part of managing people. "Apart from giving Guidance it's also important to receive it. Guidance which is basically Praise and Criticism is feedback. 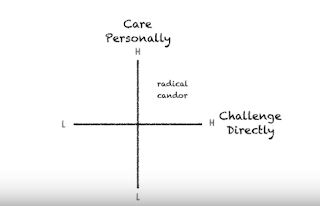 She speaks about a tool called Radical Candor. To explain Radical Candor she speaks about an incident in her career. During her early days at Google, she had to make a presentation to the founders and the CEO. The presentation went off very well and Eric Schmidt was ecstatic. After the meeting was over, her boss Sheryl Sandberg walked her back to her office. She spoke about 4 or 5 points about the presentation that she liked and while she was speaking Kim felt that there was something amiss and a criticism was around the corner. Finally Sandberg said "But, you said 'Um' a lot during your presentation". Kim was relieved and said "Ah! No big deal, I know I do that". In this article from Fastcompany which talks about Microsoft's Radical type of design thinking where the core of the Designing philosophy was to think from a Disabled person's perspective. It talks about how many great inventions happened thinking of the disabled in mind. Pellegrino Turri built the first typewriter, so that his blind lover, could write letters more legibly. Alexander Graham Bell invented the telephone to support his work helping the deaf. Vint Cerf programmed the first email protocols for the nascent Internet. Electronic messaging was the only seamless way to communicate with his wife, who was deaf, while he was at work. Designing so that the disabled can have universal access—we can create products better for everyone else. In most meetings and discussions people expend all their energies focusing on Negatives rather than the positives which may be a minor problem in the overall context of things. In this McKinsey article, the author talks about an example used by a manager where 95% of the project is going well with problems in 3% of the areas. She would insist all meetings start off by talking of all the positives of the project which would be result in relaxing and calming everyone before starting off on the 3%. 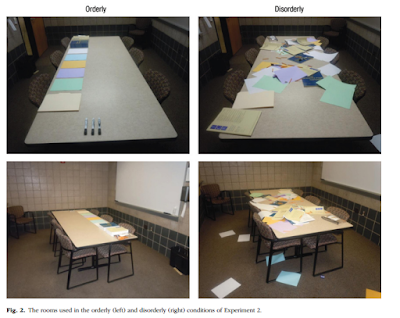 This helped people think more clearly and calmly on the problems resulting in improved productivity. 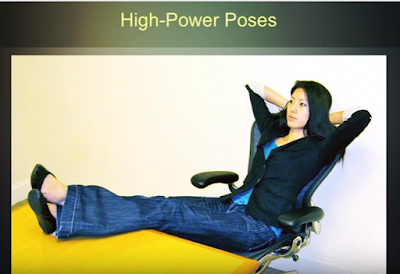 This technique is also called Priming which is an implicit memory effect in which exposure to one stimulus influences the response to another stimulus. Often when employees have issues related to work, Leaders offer advice and suggestions. Employees get intimidated by the suggestion and often tend to go by the boss' recommendations. The pitfall of this is that it results in a culture where employees shy away from taking decisions and keep escalating it to their bosses. In this McKinsey article, the author cites an example of a Leader who uses the principle of "Extreme Listening" which results in creating a space for people to do their own best quality thinking. The Leader used this technique with an employee who came to her with a problem. She kept asking "what else?" and kept nudging him for a solution. Within 5 minutes he solved the problem himself. Very often Leaders try to prove their own competency in the eyes of their subordinate and feel that it is their duty to put in their 2 bits. But this may end up intimidating people instead of bringing out the best out of them. In this McKinsey article the author tries to dispel the myth of Multitasking. She talks about how the brain is really not capable of doing multiple tasks but keeps switching between tasks. Too much of switching between email to reading to speaking on the phone results in stress and mistakes. Schedule breaks between meetingsThe CEO would take 25-45 minutes break to go offline which would include being switched off from mail, messages, etcGo off for a walkcheering people who would leave office to go for a run. When 17 year old Anya Pogharian saw a $30,000 price tag for a conventional dialysis machine she was so shocked that she decided to make her own dialysis machine which she did at a cost of $500. She volunteered in the dialysis unit at Montreal General Hospital. The time spent in that unit inspired her with the idea of trying to devise a dialysis machine affordable to patients in developing countries. She built a prototype which her school selected for entry into the Montreal Regional Expo-Science fair. This lead to Provincial science fair and finally the Canada Wide Science Fair where she was awarded bronze. In his book "Grow", former P&G executive Jim Stengel talks about what differentiates a top performer from the rest of the pack. In the book he cites an example of how Pampers lost market share by focusing too narrowly on nappies’ dryness, before he redefined its brand ideal as “helping mothers care for their babies’ and toddlers’ healthy, happy development”. He came up with the Stengel 50 and compared the growth with other brands. This HBR article, cites Jack Daniels' marketing example. It says that most Iconic brands are cultural innovators. They leapfrog the conventions of their categories to champion new ideologies that are meaningful to customers. Whiskies compete to be perceived as upscale and masculine. In the 1950s the major brands aligned themselves with the image of the sophisticated modern corporate executive. Jack Daniels was a small Whiskey producer and was being trounced by the National players. 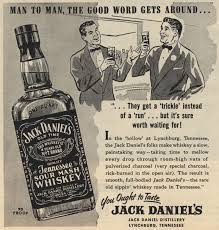 Jack Daniels was running ads showing corporate executives drinking their whiskey, however nothing worked. In this HBR article "How to respond when your employee asks for a raise" the author offers a few do's and don'ts on how to handle the situation. First and foremost when the employee asks for a raise, don't react right away. The writer quotes from a book "How to be good at Performance Appraisals" by Grote. He suggests a simple 3 word sentence "Tell me more" and take notes while the person tells you why she deserves the pay increase. This conveys that you are not dismissing the request and your act of taking note indicates your seriousness. The article also has 2 case studies at the end. This Fortune article talks about how many Employers are using third party firms to analyse Medical reimbursements, pharmacy claims and Search queries to predict whether an employee is trying to get pregnant, is pregnant or about to undergo any major surgery. Castlight Health is an Enterprise Healthcare management platform that lets companies provide employees with personalized tools for healthcare benefits. According to the Fortune article, Castlight has the ability to gather employees' medical information and then predict who's at risk for being diagnosed with diabetes, who's considering pregnancy and who may need a back surgery. Also read "Behavior targeting - How Target knew about customer's pregnancy before her own Father knew about it"
Priming is an implicit memory effect in which exposure to one stimulus influences the response to another stimulus. src Wiki. If a person reads a list of words including the word table, and is later asked to complete a word starting with tab, the probability that he or she will answer table is greater than if they are not primed. Female and male students were asked to give a public speech in a room with a poster of Hillary Clinton, Angela Merkel, Bill Clinton, or no picture. Researchers recorded the length of the speech as an objective measure of empowered behavior in a stressful leadership task. 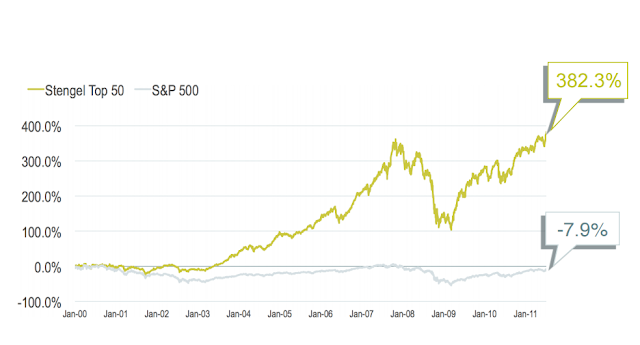 Winning the battle for market leadership is at the heart of competitive strategy. Overtaking the market leader has often been termed “dethronement” in prior literature and is considered a key managerial objective (Ferrier, Smith, & Grimm, 1999;Smith, Ferrier, & Grimm, 2001a). Management scholars across different fields have shown that imitating leaders can be an effective way for followers to catch up with and surpass the leader (Posen, Lee, & Yi, 2013). However, less attention has been given to the possibility of leaders imitating competitor moves and to the performance consequences of such a strategy. In her article "5 reasons to bring Brand into the boardroom", Deloitte's principal Jennifer Baron quotes Abraham Lincoln's words: "Character is like a tree, reputation is like its shadow". She states that Brand building is not about manipulating the shadow but it is about nurturing the health of the tree. In her report she highlights how Brand is the most important intangible asset of a company and it is estimated at approximately 15% of the market cap of top tier organisations. Apple is at 26% and McDonalds' is 42%. In the late 90s P&G created an odorless air freshener spray. They launched a campaign showing a woman complaining about bad odor and remarking to her friend that using Febreze will eliminate odor. The marketers anticipated great sales but the product didn't take off at all. To understand why it didn't sell, they conducted in depth consumer surveys to figure out what went wrong. However, they could not find an answer until they visited the house of one of the respondents. The woman was a cleanliness freak with 9 cats. However, when the P&G team walked into the house they were overpowered by the strong odor of the cats. When the owner was asked what she thought about the cat smell, she replied saying "Isn't it wonderful, they hardly smell at all!". The reason why Febreze wasnt selling was because people don't detect bad smells because they get used to it. Behavioral analysis is becoming a new tool in the hands of marketers. According to this NYT story, Target's statistician received a brief from the marketing department “If we wanted to figure out if a customer is pregnant, even if she didn’t want us to know, can you do that? ”. He came up with a "Pregnancy Prediction score" which would analyze shopping data and predict when the shopper is due. Target would then use this data to send out promotional material to the shoppers. In his book "The Power of Habit: Why we do what we do in Life and Business", the author Charles Duhigg cites a peculiar case of an army major posted in Iraq who eliminated riots by implementing a small policy change. He analyzed video tapes of recent riots and identified a pattern. Violence was usually preceded by a crowd of Iraqis gathering in a plaza and growing in size over the course of several hours. Food vendors and spectators would show up. Then someone would throw a bottle and all hell would break loose. The major met the mayor and requested him to keep the food vendors out of the plaza which he agreed to. A few weeks later, a small crowd gathered near a Mosque, it grew in size through the afternoon. Some people started chanting slogans and by dusk people started getting restless and hungry. People looked for the kebab sellers normally filling the plaza but there were none to be found. The spectators left, the chanters became dispirited and everyone was gone by 8pm. 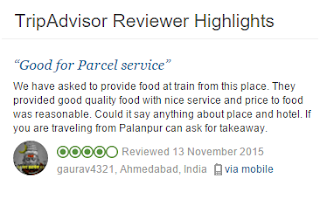 Hotel Guptaji, a small restaurant in Palanpur India situated near a railway station started a food ordering service for trains passing by. Passengers traveling on this route would call the Hotel in advance to order lunch on dinner packets which would be promptly delivered to the passenger when the train stops at the station.The delivery boys keep the change ready and the entire transaction is completed within 30 seconds. The Hotel has even received a mention in Philip Kotler's Marketing Management , A South Asian Perspective ver 14e.